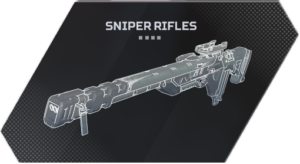 Welcome to our Apex Legends Sniper Rifles List, here you can view the Best Sniper Rifles Stats in Apex Legends. These long-range weapons deal large amounts of damage but require proper aiming and positioning to make the most of its power. We display the Apex Legends Sniper Rifles using a Tier List format. You can find the Apex Legends Best Sniper Rifles in the S Tier, the closer to the bottom the weaker they become ending with F Tier. Below we have a listed each of the Assault Rifles Stats, such as Damage to body and head. We have also included the type of weapon attachments each gun can equip to further improve its stats. Kraber None 125 250 Powerful bolt-action. Want to View other Apex Legends Guides? Tap any of the links below to view other content in the game.